This poll was conducted entirely in the George & Dragon pub in Acton at lunchtime amongst its entire clientele and is totally representative of the clientele at that particular juncture. In fairness, l should clarify that one of the respondents is a member of the House of Lords, and thus cannot vote. Does Clive Soley still live in Acton/Shepherds Bush?? H.Hemmelig has the correct member of the House of Lords. No, Lord Soley lives mostly in Oxford but has what he calls a “crash pad” near me, which is why l tend to bump into him sometimes. In fact l’ve seen him twice on the campaign trail this week in EC&A, for much of which he was MP between 1997 & 2005. Independent candidate Jonathan Notley, local resident standing against inappropriate property development, is likely to influence the outcome in this very tight marginal. Notley will not win, but in a seat where the split between Conservatives and Labour is predicted to be within 50 votes his supporters may determine who does. I’m not sure it will be that tight but it certainly is quite uncallable. Just heard a middle class caller on LBC saying she’ll vote Labour and that she can’t stand the Tories /Cameron and thinks Miliband is a decent man. If I heard her speak on a non-political topic I’d assume she’s a staunch Tory supporter. I’m now predicting a narrow Labour gain of 500 here. Cameron’s mate Toby Young lives in this seat! Bet he’ll be crying his eyes out on Friday morning! The likes of Young and Dan Hodges crying is music to my ears. I’m no Miliband fan at all, but those two do my head in. Labour have gained this seat from the Tories. So some success by Labour here. Yes just heard Dimbleby say it. Wonder what margin. Majority of 274! Knife edge! Well done Rupa and Barnaby no doubt you’re campaigning here made a difference in such a tight race. Sounding a lot like 1992 now. If Labour elect a better leader (Ed will be turfed out) they could increase their majority here somewhat. Wow! Very close! Could be the type of seat that goes back to the Tories in 2020 if Boris is leader! Excellent result for Labour in the circumstances. Barnaby was right that much of that LD vote was left-leaning. Most of my predictions were wrong, but here I predicted a Labour majority of 250. Yes I also got Ealing right but you were much closer than me on the majority. BARNABY MARDER deserves credit for always maintaining LAB would GAIN. I was quite confident of a CON hold. But my feeling that Labour lost a lot of the aspirational Asian vote, I feel is reflected in the result. Certainly explains the Harrow East result. Yes NEIL – definitely the case in HARROW EAST, which I think must have been one of the bigger shocks to LAB. I’m disappointed with this result – although pleased with the increased share which is quite substantial. Some of the comments here that the LD vote was mainly left leaning did turn out to be true. I think we should all acknowledge Robin Hood was very accurate with his predictions of a few years ago. Yes he turned out to be a complete genius 100%. His reasoning was clairvoyance of the highest order, and scarcely any of us believed him in any of his fully explained and analysed predictions. Robin Hood, my friend, you have had the last laugh LOL. I think there could have been a bit of C complacency in this seat. Angie Bray was an effective MP but I think we actually thought more of the LD vote was right leaning, particularly that from the Ealing Common area. Rupa Huq may be hard to shift because the boundaries now are quite well drawn for the Tories. 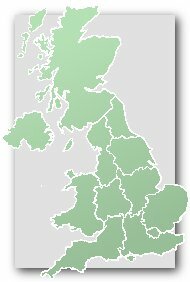 Labour hold by about 2-3000 in 2020? The seat description is a bit misleading here; the undesirable parts far outweigh the nice bit around Ealing Town and the Broadway. The seat stretches up to the boundary with Brent Central around the rail depot at Willesden and contains much of the horrible area around Park Royal. Acton is not a nice place these days, unlike the 70s and 80s when it was a pleasant suburb. The Tories did very well to win here in 2010, as Joe says it was a fluke with the Lib Dems doing so well (perhaps some Brent Central effect spilling over). They did extremely well to get so close in 2015 but I doubt this seat will ever be Tory again unless the Old Oak / Crossrail development gentrifies the east of the seat beyond recognition. When you look at Acton on the map it looks like the sort of place that should have experienced/be experiencing gentrification but evidently not, even if Toby Young lives there. bits of it have, such as the “Poets’ Estate” north of Acton Central station, but only to some extent. There remain large council estates in all 3 Acton wards, and a significant non-white population in its owner-occupied areas which doesn’t tend to help the Tories. One unusual intrusion into this is the small but significant Japanese community, some members of which live in ex-council houses in the area around West Acton station – there’s a Japanese school nearby. I think the bit around Horn Lane is a fairly small part of the electorate but it will be difficult for the Tories to get this back. Lib Dems had loads of support here in 2005 and 2010, and will be back here with a 10,000 majority in 2020. Labour and Tory voters will vote Lib Dem tactically – to keep each other out, with stupendous momentum. I never quite understood why the Lib Dems were high here in 2005/10. they still are in local government in Ealing Common & Southfield – remember, they held all 4 seats they were defending in the constituency in the 2014 local elections. This clearly translated into votes in the 2010 general election, and there remains a strong “intellectual” slightly-left-of-centre vote in Walpole & Ealing Broadway wards as well as the 2 mentioned above which must have given Jon Ball a strong vote then. lt obviously melted away for both political & tactical reasons in 2015 & one of the reasons why Rupa Huq won is that a lot of local LD votes in Southfield gave Labour a tactical vote which was for some reason more lacking in the GLA elections – it was more expected that there would be a big LD to Lab switch in Ealing Common ward. Our canvassing returns in Southfield ward certainly were promising given the area. Some might ask why this elected representative is allowed to engage in this frivolous and self indulgent routine for 45 minutes especially when we are often told there is ‘no time’ to discuss proposed legislation. Labour may have been helped here (and in other London constituencies) by the increased number of owner occupied properties becoming ‘buy to lets’. Looking at ward results, Ealing Common (excluding postal votes though) was extremely tight. Less than 10 votes separating them. Once you take the postals into account it would probably narrow to a one or two point win for Khan. So not a terrible Tory result in the overall context. Depending on boundaries it might still be winnable in future with the right candidate and national picture. I don’t think the Conservatives are out of contention in this seat by any means. Parts of it are sufficiently ‘central’ to make it attractive to the the kinds of people who are voting Conservative in nearby Chiswick. The proposed boundaries here (Ealing Central and Shepherd’s Bush) significantly increase Labour’s majority, to over 6000. No chat on this seat yet. Are we all assuming a fairly comfortable pickup for the Conservatives or could it yet defy political gravity? Of course not the most attractive seat for an ambitious Tory candidate. Even if they win, Labour’s dead cat bounce and the addition of Shepherd’s Bush in the boundary changes would almost certainly limit them to a single parliamentary term.